Click here for a link to Bill Russo's presentation titled "Towards A Green Automotive Industry"
The World Steel Association (worldsteel) co-hosted with the China Iron and Steel Association (CISA) and the China Council for the Promotion of International Trade, Automotive Industry Committee (CCPIT-Auto) a major one day conference on “Green Manufacturing, the Future of Steel and Automotive”. Held at the Sheraton Guangzhou Hotel, the conference was opened by Joon-Yang Chung, Chairman of worldsteel and Chairman and CEO of POSCO. CISA Chairman Lejiang Xu delivered a welcome speech and the keynote speaker Jimin Zhu, Executive Vice Chairman of CISA, addressed delegates on the current market and policy trends of the steel industry in China. More than 140 representatives of the automotive and steel industry listened to presentations addressing Life Cycle Assessment as the key to future environmental management. Presentations and keynote speeches of the conference can be downloaded from worldsteel.org. It's a Nissan LEAF, but re-badged with the Chinese Venucia brand. Familiar-looking plug-in electric vehicles may be seen on roads in China in the next few years. 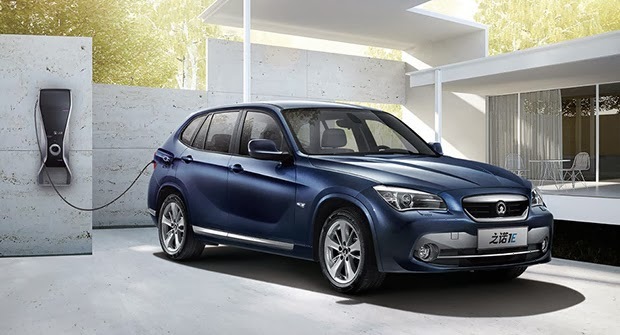 Among the vehicles on display at the recent Guangzhou Auto Show in southern China were a Chinese version of the Nissan LEAF and an electric version of the BMW X1. Both were produced via the foreign automakers’ joint ventures in China. Also the latest iteration of the Denza pure electric vehicle, produced at the Daimler-BYD joint venture, was on display. Does this mean foreign automakers believe China will be a hotbed for electric vehicle sales? Probably not. These vehicles are more likely “compliance cars,” produced to please the Chinese government, which is promoting vehicle electrification in China. Producing the cars domestically through a joint venture will qualify the vehicles for government subsidies. China has been pursuing electrification for more than a decade, and has released a series of plans that set target production and sales goals and subsidies for purchase of electric vehicles. The most recent plan, which covers 2013-2015, was released a few months ago. In that plan, battery electric passenger cars are eligible for incentives of up to 60,000 RMB or $9,848 at current exchange rates. Buyers of plug-in hybrid electric passenger vehicles can receive up to 35,000 RMB or $4,103 in 2013. Those amounts will decrease by 10 percent in 2014, and by 20 percent in 2015. To be eligible to receive those subsidies, however, the vehicle must be domestically produced. Imported EVs are subject to high import tariffs. Foreign automakers who want to produce cars to sell in China must do so through a joint venture with a Chinese automaker anyway. That rule was introduced to allow the Chinese companies to access advanced technology. Now, as Russo pointed out, that has been extended to electric vehicle technology. 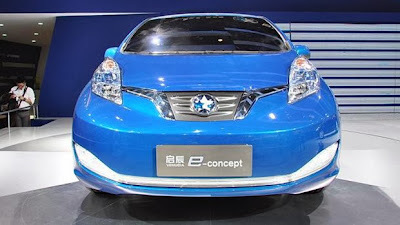 So Nissan, after some hesitation, will now produce a Chinese version of the LEAF through the Venucia brand, a local brand produced only in China through its JV with Dongfeng, with whom Nissan also produces regular gas-powered vehicles. BMW is doing the same, producing a EV under a local brand, Zinoro, with its partner Brilliance. Daimler does not produce non-electric passenger vehicles with BYD; the Denza joint venture was formed in 2010 specifically to produce electric vehicles. A BMW EV, but with the Zinoro brand. The complication with all these joint venture EV launches, said Russo, “is it will only add more competition for the independent carmakers who are trying to develop their own EV products.” That includes BYD and Geely, as well as SUV maker Zhongtai (aka Zotye). The joint venture models will also compete with electric vehicles launched by the state-owned partners, most of whom have launched their own electric vehicles. For example, Dongfeng has showed its own brand EV at other auto shows in China. Whether the local automakers expect to actually sell any of their EVs to Chinese consumers in the near term is a question, however. Supplier sources in China say that much of the activity is more show than substance. And after enthusiastically introducing electric vehicles of at auto shows in China the past few years, at the Guangzhou show this year “most of the local EV products are no longer front and center at the auto show stands,” said Russo. To be sure, Chinese consumers are generally more interested in buying cars with a foreign badge, assuming that will mean a higher-quality product. But they haven’t been enthusiastic about buying electric vehicles of any brand. 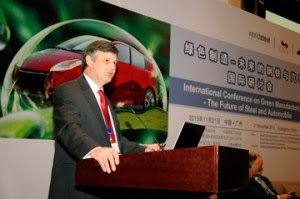 So just having some foreign automaker DNA won’t make EVs much more alluring to Chinese consumers, Yale Zhang, principal at consultancy Auto Foresight in Shanghai told PluginCars.com. “It does not matter who produces EVs, the sales volume will be limited,” he said. It was a big reason why Apollo Tyres made the bold move this July to acquire American company Cooper Tire—an operation twice its size—and now it's a reason why it is looking to renegotiate or break that agreement: China. It's the world's largest market. It's also a market with rules and a mind of its own. Apollo is finding that out: workers of Cooper's Chinese subsidiary have slammed the deal, saying it does not comply with the country's laws, and its Chinese partner has offered a buyout. Three others from the broad Indian auto sector who ventured into China in the past decade— Sundram Fasteners, Mahindra & Mahindra and Bharat Forge—have found out the hard way. Each is struggling to scale up and become relevant. "The China tractor acquisition was part of our growth plan to get a foothold into the world's second-largest tractor market," says Pawan Goenka, ED and president, Mahindra & Mahindra. "We could not have ignored our presence there." But China, where the state is never far away, is not falling over itself to have Indian companies. Li Jia of IHS, a research firm in China, says Indian companies don't offer anything unique. "New entrants need to show their clients reasons to buy their product, which can be based on lower price, superior technology, better quality, etc," she says. Indian companies, she adds, have neither the brand pull of American and European companies, nor the immaculate cost management of Chinese companies. 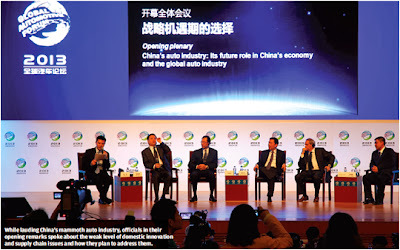 Global auto majors started entering China in 1984, when it opened its auto sector. According to Synergistics, a China-based auto consultancy, only four JVs have disbanded, while 23 survive. Bill Russo, president of Synergistics, says China caps a foreign company's share in new auto JVs at 50%, but places no such restrictions on component ventures. Indian companies have tried operating in this framework, but have faced a perception bias, cultural and integration issues, and lack of skilled labour. "Indian companies have been unable to build scale, and being over-calculative has left them with lower profits," says VG Ramakrishnan, MD of Frost & Sullivan, a consultancy. "They would rather invest in Latin America and Southeast Asia." China remains a long haul. When Mahindra & Mahindra made its two drives into China, first in 2004 and then in 2009, it entered a market that was large but also incredibly crowded, with about 200 manufacturers rubbing tyres. Its first acquisition was that of Jiangling Tractors, a maker of low-horsepower tractors (18-33 hp). M&M's plan was to ship Jiangling's low hp tractors to India and use China to develop business in Europe, US and Australia. But the low hp tractors did not take off in India and the Chinese market started shifting to higher hp tractors. "Despite M&M's long-term commitment in China, there seems to be a management reluctance to go for the big investment," says Mahantesh Sabarad, senior analyst at Fortune Financials. China, in tractors, has several common aggregate manufacturers, who are akin to contract manufacturers. Many have scale and are used by tractor companies to source aggregates (like engines, hydraulics and axles). "It is difficult to differentiate your product from that of a relatively small manufacturer," says Ruzbeh Irani, CEO of international operations at M&M. Complicating this is the regulatory landscape. Agriculture in China is subsidy driven and influences tractor economics. In 2012, crop prices were lower, so were subsidies. Tractor companies had to resort to discounting, reducing profitability. "The tractor utilisation window is also very short, given the cold climate in most of the country, especially the north," adds Irani. "Coping with the strain on the system in season time was a challenge." The Huanghai Jinma brand—manufactured by the Mahindra Yueda JV, its second and bigger venture in China—is well known and sold through a network of 250 dealers. M&M is pulling levers: a new and more modern plant, improving quality, and new and more powerful tractors. Going forward, M&M plans to strengthen its 100 hp-plus range and invest more in R&D. It even plans to import its Arjun range from India, something that Irani is looking forward to. "We will also be looking at the possibility of localising the tractor, with Chinese aggregates and components, as also with our own Chinaproduced engine," he says. Meanwhile, both ventures are making losses. Bharat Forge's entry into China was part of a new strategy it unravelled for itself between 2004 and 2005. This saw the world's second-largest manufacturer of forging products spend $140 million to buy auto-component companies in Germany, Sweden, Scotland and the US, and form a joint venture in China with one of the nine state-owned groups there. The essence of that strategy, termed 'dual shoring' by Bharat Forge chairman Baba Kalyani, was to establish manufacturing beachheads close to customer facilities to minimise risk of supply disruption and win larger contracts. In this new scheme of things, China, a large auto market and fast becoming a magnet for global auto majors, was crucial. The Bharat Forge management saw China, along with India, as a low-cost production base. However, its Chinese joint venture, with the FAW Corporation, has been struggling to deal with the pull back in demand, first that happened in the wake of the 2008-09 global financial crisis and, more recently, in China itself. While Kalyani did not reply to an email questionnaire for this story, a senior company official who spoke on the condition of anonymity, says FAW Bharat Forging, in calendar 2012, has been affected by the fall in the commercial vehicle and construction markets in China. Mahantesh Sabarad, senior analyst at Fortune Financials, a brokerage, says officials of the Indian company have told him that, because of the language barrier, they are unable to convey ideas to Chinese executives in the joint venture and implement strategies for growth. By itself, FAW Corporation has good pedigree in China, partly because of its state lineage. It makes cars, trucks, buses and auto parts. It has JVs with Toyota, Vokswagen,General Motors and Mazda, among others. While that state connection can be an asset, it can also be a liability, says Sabarad. Companies doing business with Chinese state-owned enterprises, he adds, must come to terms with their interests and priorities, which are heavily shaped by policy directives and are intuitively resistant to organisational changes. Many among the senior management are more 'state cadres' than professional executives. "While there was a clear improvement opportunity for the JV, there was also a significant resistance to implementation," says Sabarad. "The excess manpower issue also could not be resolved." Sundram Fasteners was one of the earliest Indian entrants into China, in 2003, when the world was feeling the first stirrings of the next economic powerhouse. Back then, Sundram invested $13 million to set up a plant to manufacture high-tensile fasteners and bearings. This unit delivered revenues of Rs 97 crore in 2012—or 3.7% of the company's consolidated revenues of Rs 2,651 crore in 2012-13— and Rs 93 crore profits. Those are small pickings and Sundram has no major capital expenditure plans in the near future. "While we had a firstmover advantage, China is a slow innings for us. And we are okay with it," says Arundathi Krishna, deputy managing director of the company. "China is a test match for us and not a 20:20." Sundram drove into China with a threephase strategy in mind. The first was to tap China's capabilities as a low-cost manufacturing base, and export products to its existing global customers. The second was to start supplying to global auto majors for their units in China. And the third was to supply to Chinese auto companies. According to Arundathi Krishna, the company has broken ground in the first two sets and it is now focusing on the third. "It's challenging as these companies generally like to buy from Chinese suppliers," she says. Adds Suresh Krishna, chairman: "This is taking a little longer than expected as customers are not readily known to us. It will take some marketing effort before successful penetration can occur." The promoters say their current investment is in line with demand, and that they don't want to over-invest and then wait for orders. "Because of the global recession, there is a slowdown in the Chinese economy. But we are confident it is a passing phase," says Suresh Krishna. "For now, the profitability is adequate and we are sanguine that it will continue to grow." The fourth annual Global Automotive Forum (GAF) held from October 18-19 was special for multiple reasons. While 2013 marks the 60th anniversary for China’s automotive industry (when its first automaker, First Automotive Works was founded), the year also sees the 30th anniversary of first saloon assembled in China by Shanghai Automobile Industry Corporation (SAIC) and the construction of the first expressway in the country. Furthermore, the China Council for the Promotion of International Trade (CCPIT) had chosen Wuhan for this year’s GAF – a Tier 2 city as per Chinese city standards but massive enough to raise solid doubts about our own definition of a Tier 1 city in India. While the globally not-so-popular Wuhan is not only an upcoming economic powerhouse, it is also an important location to what Chinese government officials call as the ‘rise of central China strategy.’ Considered as the largest logistics and distribution centre in the inland China, thanks to its connectivity with high-speed rail network, largest inland port besides the expressways, Wuhan is also known to be home to a cluster of automobile and auto ancillary makers with the most prominent name being the Dongfeng-Citroën Automobile Company. With the theme being future development of the auto industry – target, strategy and implementation, the two-day conference saw participation from over 700 automotive industry officials from around the world including government representatives. Interestingly, the conference seemed to depict China’s all-new and rather liberal approach towards laying down the future growth roadmap for its automobile industry. For the first time, officials from the government and local companies recognised both the shortcomings and challenges which are deterring the growth of the Chinese auto companies and industry as a whole. 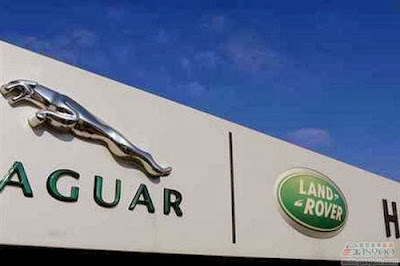 Guess that’s what it takes especially when you are the largest automobile market in the world but without even a single home-grown brand that is as prominently known as the many European brands which sell in big numbers in China. The global interest in China is not without reason – the seven percent GDP growth and an estimated total sales of 20 million units by 2020, and double that to 40 million units by 2030. Industry experts believe the Geely-Volvo combo will push the acceptance of this made-in-China brand, translating into increased exports. While China’s annual production and car sales stand around 19.3 million units, the world's largest car market exports only five percent of that. California-based Pinnacle Engines made its presence felt at GAF 2013. “While everyone is talking about electrification of vehicles, we don’t exactly know by when the technology would be ready. At Pinnacle, we have mastered post-piston technology, which is a completely different engine design as compared to conventional engines and delivers a guaranteed improvement in fuel economy by upto 50 percent. Our first project will see commercialisation in India as early as 2015 in a two-wheeler application,” said Ronald Hoge, chairman and CEO, Pinnacle Engines. According to him, around 74 percent of all passenger vehicles sold in China in 2012 were either foreign brands or models made under JVs. “Hence the fragmented auto companies in China need to first establish a successful consumer base in their own domestic market and rework their image of building ‘cheap cars’ to ‘affordable cars’ globally. They should overcome main failures by first setting up a stable domestic structure to compete globally, make global HR talent pool, setup quality conscious suppliers globally and also the financial and after-market services to win opportunities in other markets,” concluded Russo. How will China’s continuing growth momentum shape the world’s most important auto market? To what extent will China be able to drive standards and architecture of future automotive technology? How will increasing urbanization impact the nature of future personal and commercial transportation? Despite slow commercialisation progress, what are the global auto industry implications of China’s ambitious program to electrify transportation? What can companies do to master the frontiers of innovation and commercialise at competitive cost to dominate the global auto industry? Discussion and Q&A - How does the hybrid vehicle opportunity compare with alternative technologies - Which types of hybrid and EV are likely to have a sustainable future?